If you’ve made up your mind to make the most of a country you want to visit, then why not organise a tour? Starting in one corner, and making your way around with plenty of interesting stops is what traveling is all about. Sure, there are going to be plenty of things you’ll miss. You simply can’t see everything. But most vacations rob you of the time and means to really find out more about the wonders of the country you’re in. There are plenty of ways to do this. You can use an online resource to help you plan a trip around a country. Or you can just list all the things you want to see and figure out your own route map. A road trip, rail journey, or even budget bus travel can get you to most of the places you’ll want to see. Add in a couple of internal flights if you want to journey any distance but you’re short on time off work. If you want to tour the UK, why not start in Northern Ireland? 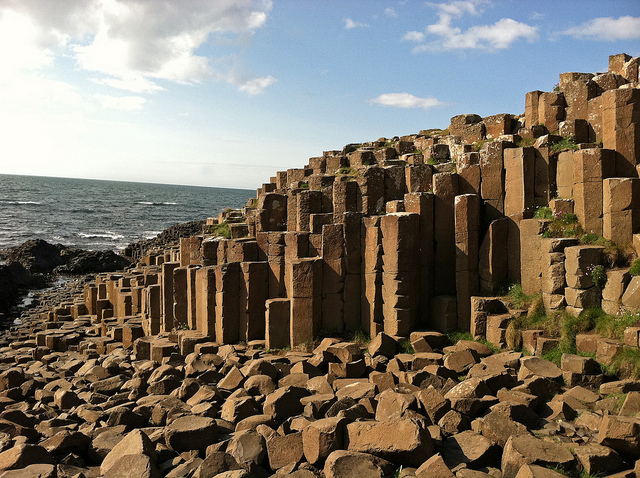 The Giant’s Causeway is one of those things you simply have to see whenever you’re in this part of the world. This natural phenomenon needs to be seen up close and personal to truly appreciate the scale and drama of its proximity to the water. Fly to Ireland, and let this be the first stop of your UK tour. From Ireland, it is very easy to get to Liverpool, home of The Beatles. Music is still much celebrated here. Fly over, or take a ferry, and enjoy the nightlife this impressive city has to offer. You’re only a short ride from Manchester too, the home of Football. You may have a preference for one city over the other, or choose to visit both. You won’t be disappointed as both are rich in history, culture, sports and the arts. For a true taste of the English seaside, you can’t ask for a better resort than Blackpool. Everything you could possibly want is here. There is a world class Theme Park, restaurants, night clubs, bars, pubs and entertainment. But most importantly, there are the beaches. All the traditional English attractions can be found at Blackpool. Arcades, children’s amusements, and even the odd donkey ride can be found! So grab your bucket and spade, then enjoy a fish and chips tea. From Blackpool, Liverpool, or Manchester you can take a road trip north toward the Lake District. Here you can enjoy some high adrenaline activities like watersports, or something as relaxing as lazing in a rowboat on a quiet lake. The pace of life here is up to you. The views, however, will take you away from regular life and into the most beautiful scenery and landscapes you’ve ever seen. Walking is the preferred mode of transport here, and bed and breakfast accommodation is the luxury! There is an easy road route north into Scotland. Glasgow and Edinburgh are the most popular cities for tourists. Both have a lot to offer. For a true taste of Scotland, try a distillery tour to sample the local whiskeys. Or maybe stay in the city to get a taste for a wild night out in Scotland! There is always something to do, but the hills and mountains will always deserve a little of your time. The wildlife is quite stunning too. 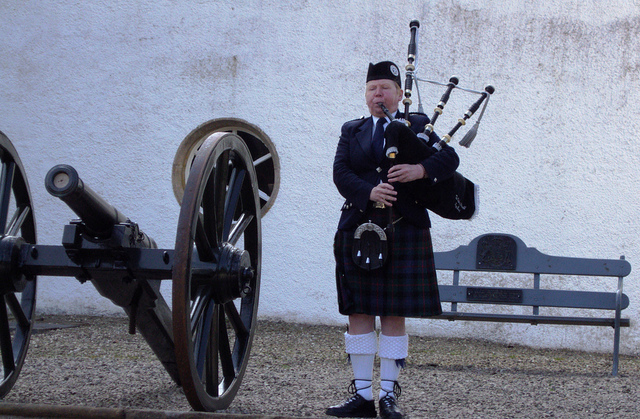 Try a traditional evening and learn more about how to dress in Scottish attire. You don’t have to eat the Haggis, though! 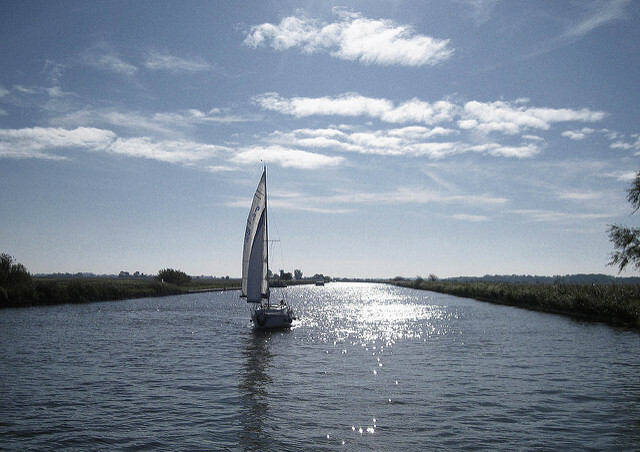 Heading toward the east of England from the north gives you lots of delights to explore. There are many areas of outstanding natural beauty, and several renowned wildlife havens. There are also wonderful waterways and canal boats to discover. The route you take to reach this area of the country is up to you. You could weave your way through Yorkshire and Derbyshire to see some of the most wonderful villages and market towns. The Yorkshire moors are worth an afternoon of walking followed by a good pub Sunday lunch and a pint. The Derbyshire Dales are equally breathtaking, offering the chance to see many of England’s best wild flowers. As you reach the East of England through Lincolnshire, you’ll start to notice a dramatic change in the landscape. It’s flatter here, with wide open spaces. The sky seems bigger, and the views are more of farmland. Norfolk is extremely beautiful, despite being a challenge to reach by road. Norwich is the major city of the area and has a peculiar charm of its own. From Norwich, you’re not far from London. Take a train, or drive back. You’ll pass many quaint English towns on the way with incredible churches and museums preserving the history of each region. London is busy, and not really a great place to take your car. Leave it in the suburbs and take the train. There are plenty of interesting tourist hotspots as well as a few delights off the beaten track to enjoy. The Jurassic coast south west of London is warmer than other areas of the UK. There are many lovely seaside towns to enjoy. Dorset, in particular, is picturesque with chocolate box thatched cottages. Keep heading west through to Cornwall, and you’ll arrive in Surfer’s heaven! Alternatively, why not head north a little and see what Wales has to offer? Cardiff is an extraordinary city, but don’t miss out on any of the beautiful Welsh towns and villages along the way. With so much to see in the UK, you’ll be spoilt for choice. So grab a map and pick what you’ll explore! Have a great UK tour. This entry was posted in England, Special posts on June 25, 2016 by Amélie.